Traditional pantomime scripts for the 2016 season. Pantoscripts.biz have three new pantomime scripts available to licence for next Christmas. 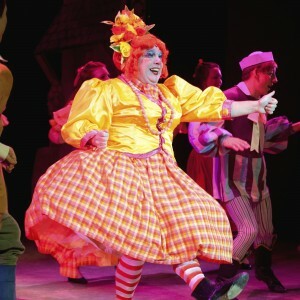 There’s a brand new version of Jack & the Beanstalk and putting a fresh spin on an old favourite Cinderella Superstar. We also recommend Aladdin & the Pirates which was produced last year. These three traditional family pantomime scripts all contain completely new comedy routines. Plus, updated topical references and of course all the traditional trimmings. So plenty of dames, principal boys, animal costumes, villains to boo and fairies & genies. Brian Luff’s pantomime scripts are both lovingly traditional and fresh, original and modern. Some of Brian’s scripts are offered to licence directly from Pantoscripts.biz. Other scripts are published by Spotlight Publications including the newly wrtten “Cinderella & the Crystal Slipper”. Brian is a former comedy writer for Channel 4. He has written for numerous television comedy shows. Brian’s first stage comedy was produced at the Edinburgh Festival in 1991 and he has since co-written and appeared in hundreds of live sketch shows on the Edinburgh Fringe. He has edited the official BBC comedy web site and he is a visiting lecturer in comedy writing at Bournemouth University. Brian grew up with pantomime. His uncle appeared in many pantos at the London Palladium and the Golders Green Hippodrome. He first appeared in a panto himself at the Mountview Theatre in North London. Brian’s own daughter has since followed in his footsteps, appearing in many pantomimes at theatres in and around Dunstable. After almost 30 years as a comedy scriptwriter, Brian began writing pantomime scripts in 2014. His first panto Aladdin and the Pirates was published by Spotlight and was produced at the Trinity Centre in Middlesbrough in 2015.